Most of us have experienced the struggles that come with buying our first cryptocurrencies. We have to find an exchange that accepts fiat currency, get a verified account on that exchange, make sure the crypto we want is tradable on that exchange, figure out whether to buy at market or limit price, understand that most prices are expressed in Bitcoin and/or Ethereum, make sure hackers won’t steel our digital assets — and those aren’t even all of the difficulties people new to the space experience. Meet Blockport, a team of young entrepreneurs and developers working on a sound solution for these problems: the first social cryptocurrency exchange. Blockport focuses on creating a user-friendly exchange that allows both beginner and more experienced traders to enter the crypto economy. 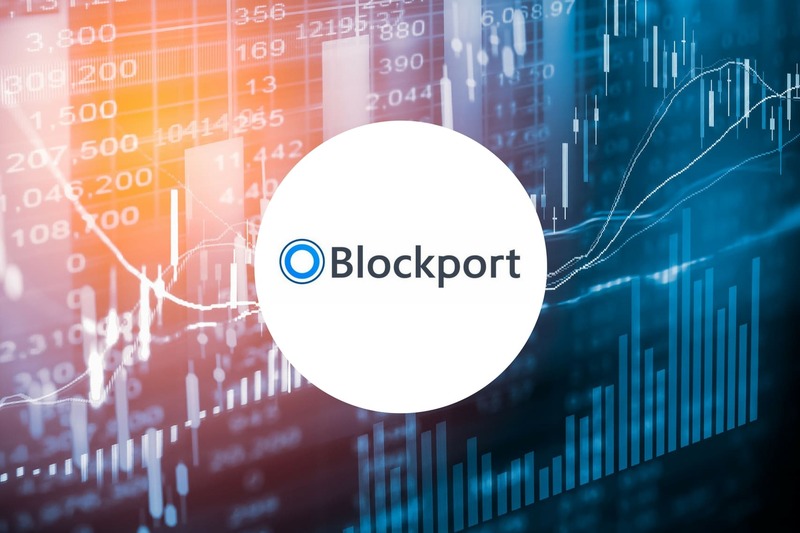 The social component of the exchange is Blockport’s unique feature; users will be able to follow experienced traders, copy their trades and learn from their moves. Besides easy and social trading, users will also be able to safely store their cryptocurrencies on Blockport due to the hybrid-decentralized design of the platform. The Blockport trading engine will be connected to multiple exchanges, giving users the best prices for trading their cryptocurrencies. With the recent start of the Blockport 1.0 Beta, crypto trading is about to become social, and I had the privilege to interview the two founders of Blockport, Kai Bennink and Sebastiaan Lichter. So guys, great to have you. What a wild ride the past year must have been. Starting such an ambitious blockchain project with multiple original features must have been challenging to say the least. What has been the biggest challenge for the both of you and for Blockport as a whole, and how did you deal with this? Thank you for having us, Jorn! It certainly has been a very exciting year; a lot has changed since we started from scratch a year ago. Blockport started as a simple solution for a major problem everyone entering this market had to face. It is simply too hard for people that are not that tech-savvy to buy, sell, and safely store cryptocurrencies. When we took a deep dive into solving these problems, we expanded the concept and developed new concepts, and combined them with existing ones to create a user-friendly and safe portal to the world of cryptocurrencies. Building an exchange isn’t easy in itself since you’re going to handle big volumes with a lot of active users trading real-time. Therefore, it is of the essence to build a stable and secure platform, which is an enormous technical challenge. However, aside from the technical difficulties, the biggest challenge for Blockport in general is the legal and regulatory environment. When you start building a fiat-to-crypto portal, you are basically building a small bank and will require you to comply to strict banking regulations. This means that you will have to comply with numerous things on a technical, but also organizational level. To be able to find your way in the maze of rules and restrictions, you need good partners that assist you in the best possible way. That is why we started building a network of professionals around Blockport from the beginning to assist us in challenges we have not faced before. For us personally, the biggest challenge has been forging a strong team of great, like-minded people to collectively build a desirable culture. A blockchain company is obviously extremely technical in its nature, but in the end it’s all about bringing together the right people to build a product that fits the needs of your customers, just like any other company. Sometimes it’s best to have patience to find the right people, so that in the end you’ll eventually have a better team and be able to go faster. The Blockport team is based in Amsterdam and lately, we’ve been getting mixed signals from the Dutch government when it comes to regulating the crypto space. On one side, there are officials pleading to let the blockchain space figure itself out before regulating it, while others state that it must be regulated ASAP. How do you think regulatory bodies, both Dutch and European, will affect Blockport over the next year? We think that regulations are inevitable as it should be. We are a strong proponent of regulations because this sets clear guidelines and boundaries for startups to effectively run their business. The “gray” regulatory environment constantly forces the industry to deal with uncertainty which hinders innovation and time-to-market. Additionally, a lack of regulations provide room for fraudulent actors to abuse this fast-growing market. At Blockport, we came across a lot of these gray areas where we had to take a decision that may bite you in the future, because it is unclear how things will eventually be classified by the governmental agencies. It would definitely support us if there are clear and innovation-friendly regulations in place that enable us to operate without having to constantly question ourselves on whether the decision we make now is still compliant in a year or two. Having said that, we think that regulations in the Netherlands and EU are on its way but will take at least one more year before it officially comes into effect. The Dutch regulatory bodies indeed have their differences on the topic and are also closely watching their European counterparts to make a decision. For Blockport, we are in close contact with the AFM (Authority Financial Markets) and DNB (The Dutch Central Bank) to anticipate any changes related to the upcoming regulations. As we speak, we are getting our compliance in order on a technical and organizational level, so that we are prepared for what might be coming in the near future. Just recently, an official partnership of Blockport with the blockchain platform Ark was announced. Why Ark? and how do you expect this partnership to help Blockport advance? First of all, ARK shares our vision of making blockchain and thereby cryptocurrencies accessible for everyone. Secondly, ARK is working on ACES, which is a community project that is creating cross-chain operability protocols. This means that you will be able to transfer value across different blockchains. The ACES project could provide us with the ability to react to transactions on a variety of blockchains by exposing an API that allows us to efficiently listen to (transaction) events. This architecture enables us to set up transfers of value between blockchains by implementing handlers to these events. It also allows for a rather flexible integration in terms of exchange rates and interoperability between services, meaning that Blockport can adopt ACES inside of the exchange infrastructure that we are currently releasing without heavy changes to our architecture. In general, we think that ARK has built a great community and ecosystem, which collectively created proven solutions. We believe that ARK is a valuable partner and that Blockport is a great addition to that ecosystem. In line with our partnership, we are also attending Consensus 2018 where ARK is hosting us on their stage. Even though your company is based in the Netherlands, your community is globally dispersed. What countries will you be focussing on initially? Or can we expect an immediate global strategy of the Blockport platform? Although Blockport is based in Amsterdam, cryptocurrencies are cross-border and so are we. This means that we first start with focusing on the European market since there is less competition and the European market needs a proper Euro-to-crypto exchange. Also, we are most familiar with the regulatory environment in Europe. After we have established ourselves in the European market, we will be targeting other parts of the world as well. We have a lot of people from the U.S. and Asia in our community, and we see a huge demand coming from those parts of the world as well. One final question. How fast do you expect my grandparents to use some sort of blockchain application, either aware or unaware? We think that the majority of our society will more quickly unconsciously use blockchain applications or cryptocurrencies than consciously. Blockchain is very much hyped by Bitcoin “application” and its skyrocketing value. However, blockchain is a fundamental technology where applications that act on top of the blockchain technology layer enable people to transact value and interact with each other in a decentralized manner. We think that our grandparents will not directly notice the use of blockchain in future applications, and this is a good thing, because it means that the usability and user-friendliness of the application is optimal. Alright, thanks a lot guys. It seems like you’re well aware of you business environment and right on track. Good luck with Blockport and we’ll keep on following the developments of your exchange! Following the release of Blockport’s closed Beta, the team has set up two events for (aspiring) active community members to participate in the marketing of the exchange for awards in the form of BPT tokens and to gain early access and even more tokens.